Spa lighting and color are integral parts of your spa environment. They can change the mood from romantic to party scene, and make your spa easy to enjoy after dark. 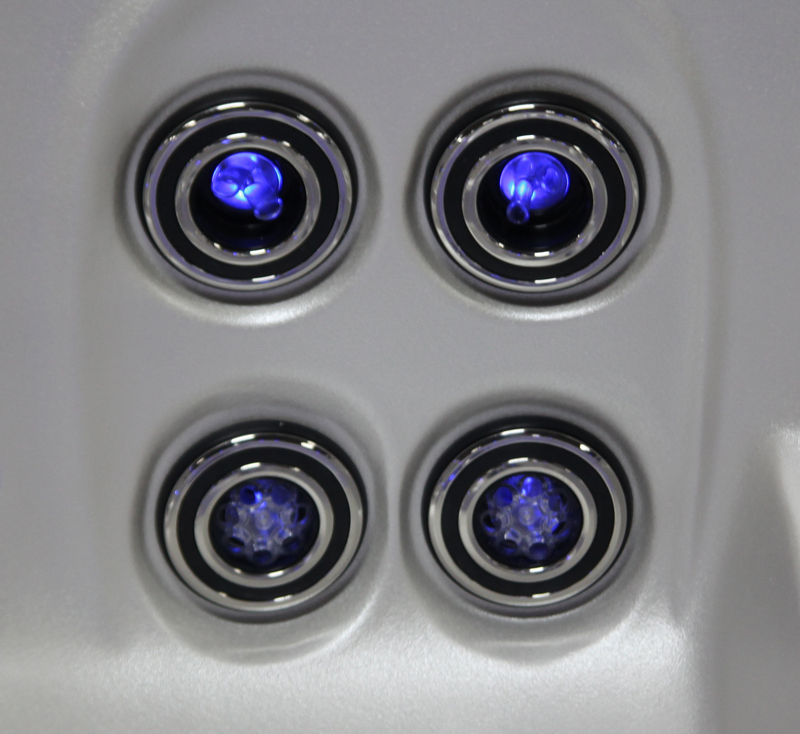 The adjustable LED lighting system glows from the footwell up to the multi-hued lighted spa waterfall. 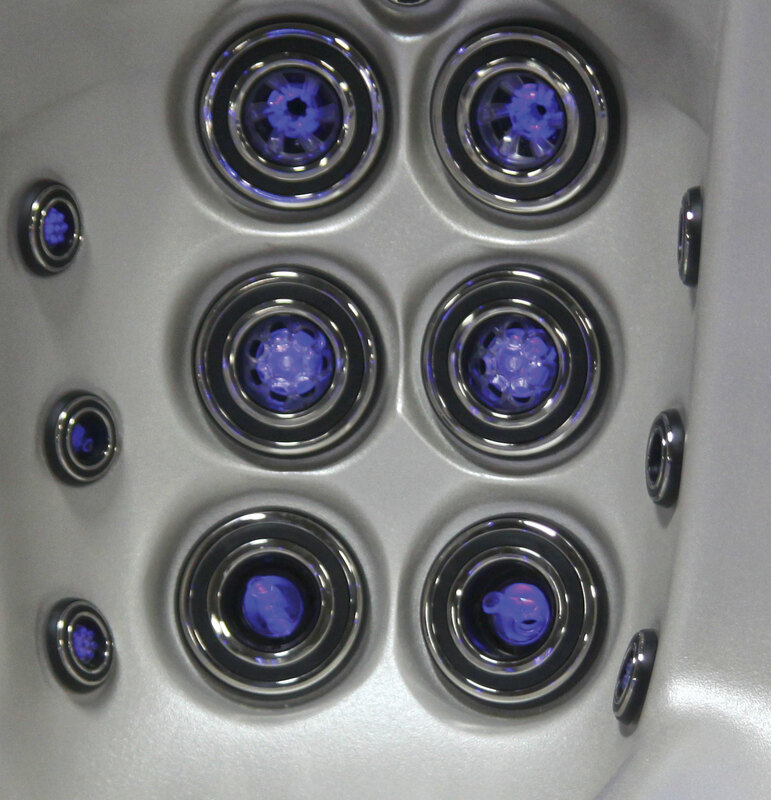 The LED spa lighting system features the synchronized colored spa lights of the waterfall, LED light rings for the air controls (on select models), and bright in-spa lighting.